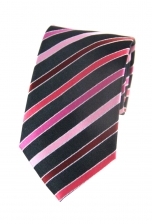 A gentleman should not shy away from small doses of pink, especially when it looks as elegant as it does on our Scott striped tie. 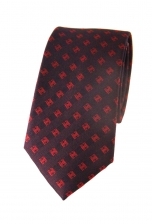 The pink and red stripes complement the black background to a tee and produce a stunning-looking tie. 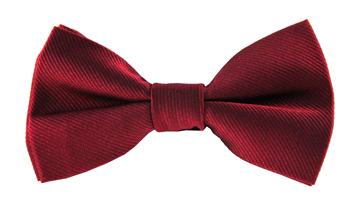 Make a statement at your next event and wear it with a classic suit.